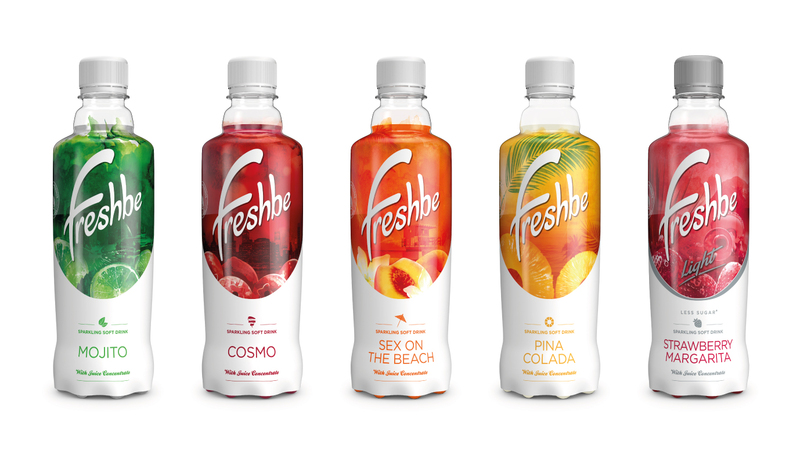 Global Functional Drinks had seen an opportunity emerging for a soft drink, driven by the increasing demand for such drinks as alcohol consumption amongst younger consumer falls, and had launched Fresh Bar – a new generation soft drink. GFD AG decided to develop a new look and feel for the brand in international markets in line with the revised positioning and asked Identica to look again at the brand and recommend a re-launch strategy. Research revealed a number of important learnings that pointed to how the brand could be given a fresh lease of life. Foremost amongst these was that the pack lacked both appetite, appeal and sophistication – the designs were not doing justice to the product within. Also, as an innovative product to the existing category, consumers need to be tempted to try and so a more vivid pack expression was called for. Lastly, given that this is a new generation in the existing category to be finding in the chiller, it was necessary to make the on-pack communication much clearer, so that consumers could understand that this was a soft drink but with a new twist, and for it to stand out strongly amongst a sea of competitors. 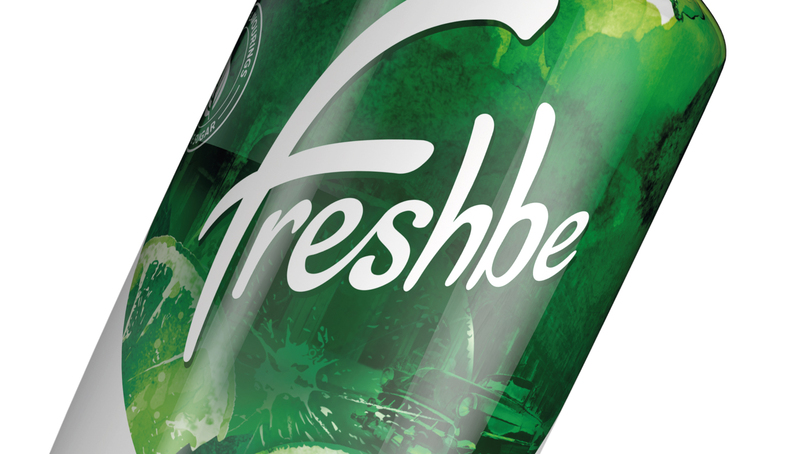 We looked for a brand name that referenced the original FreshBar name, so as not to jettison the equity that the brand had already built up and generated Freshbe. The new name was chosen to dramatize the uplifting refreshing nature of the product. We used a bold, eye-catching design, communicating the sophistication of the product, and the magic of the consumption moment, with clear colour-coding to make it easy for consumers to home in on the right variant for them, and to create on-shelf impact. Finally, our production team worked hand-in-glove with GFD’s packers, to ensure the beauty of our designs could be fully achieved without compromise in live production. 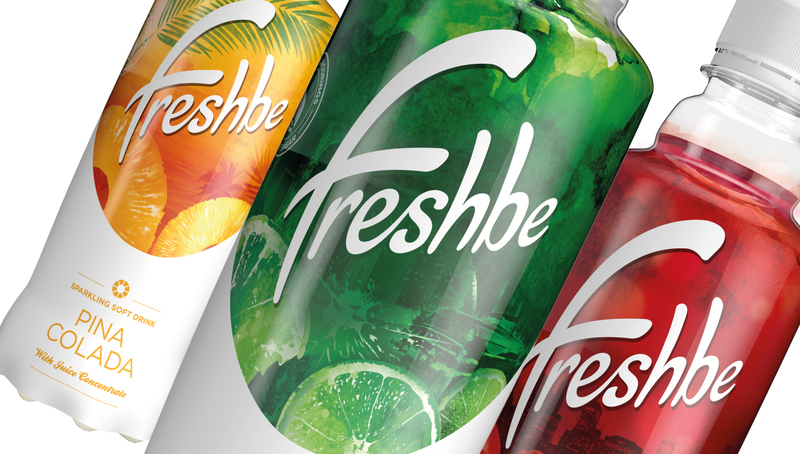 Freshbe has recently been launched successfully in the UK and USA with further plans to roll out globally during 2016.